Anyone who’s done any document reading or writing will know that there two standard formats used everywhere: PDF and Word. PDF and the Word file format are the ones most commonly used by users today. While these two are very different it doesn’t take computer whiz to convert PDF to Word. There are only a few steps you need to take, and they are the following. 1. Visit PDFburger website, Click Select and choose the files that you want to convert. Most of them are probably in the Documents folder, but you may have stored yours somewhere else. 2. If you have to include more than one file, click “Add Files”. 3. After you have added all the files, click “start” to begin the conversion. 4. Click “download” after the conversion to get the files. Word is the standard by which all other word processors are measured. By saving your PDF in this format you’ll be able to edit it using Word’s many tools and features as well as apply formatting, links, and more. While a PDF is meant to be viewed and read, Word is ideal for creating documents, reports, resumes, brochures, etc. So while these two formats are indeed different they work well together. When you’re done with the document you can save the file. Printing the document in Word is also easy and it is also integrated into the Web so using Internet related features is a cinch. Word can be used not just for editing files but along with other applications as well. Converting PDF in Word’s format has long been desired by many computer users. Before this online converter came into being, users had very few options. In fact their only real recourse was to print the PDF file and use that as a reference copy while they retype the entire report. This is obviously very counterproductive and isn’t going to help you get work done. 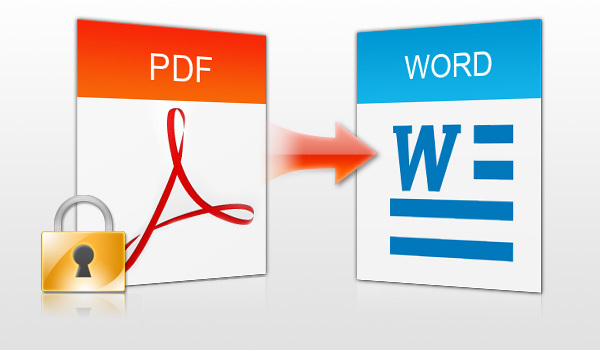 Similar difficulties have been encountered by users who need to do the opposite, which is to save Word as a PDF file. Their only option was to download a program for this task. This is very impractical as many of these applications are large and quite complex, requiring several steps before you could perform a single conversion. However that’s no longer an issue as online conversion makes it easy. Armed with a converter you’ll be in a better position to complete the job of editing your documents. Sometimes it might seem like you’re not going to need this type of conversion utility as PDF and Word documents seem to each have their own purpose. However there are many instances when this converter will come in handy. For instance your boss might hand you a PDF document that he wants you to expand, refine or otherwise edit and then print out. By converting the file into Word you’ll be able to open it in the program and make all the necessary revisions. Once you have made all the changes, you can save the file and print it. Or you can save it as a PDF and distribute it. The benefits of conversion can be measured by an increase in productivity and efficiency. You don’t need to worry about errors or mistakes as you’ll be working with the PDF file directly. Rather than write everything from scratch, you‘ll just be editing it with Word’s tools. The same thing can be said if you need to send a copy of the Word document to someone who doesn’t own a copy. Rather than have that person buy and install Word (costly and time consuming), you can save it as a PDF, allowing anyone to view the document without any problems. By saving the Word file as a PDF moreover, the file will be safe from tampering. Conversely, saving the file as Word will make it easy for you to make adjustments if it is required. As you can see it’s really quite easy to convert PDF to Word. You don’t need to download anything complicated, and the process is the same whether you need to convert just one file or several. How to use Registry Setup with Regedit?